Special Education and the Law: A Guide for Practitioners (Corwin, 3rd Ed.) by A. Osborne et al. 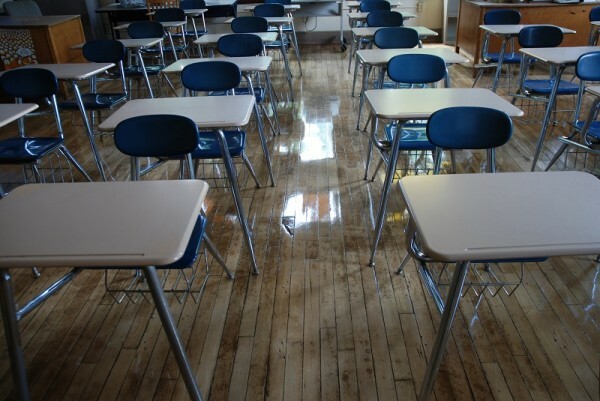 Special education is an area of law impacted by significant court decisions and changing legal developments. This book can provide a road map to meeting today’s special education requirements. Helpful analysis in specific areas such as IDEA, discipline, parents and students rights, and preventive suggestions on avoiding litigation. More information is available from the publisher. 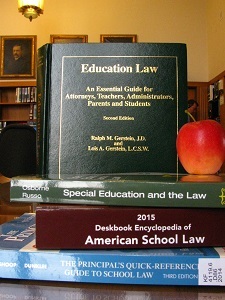 2015 Deskbook Encyclopedia of American School Law (Center for Education & Employment Law). 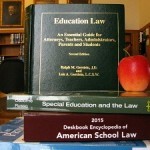 Its publisher describes this book as “a one-stop reference guide that helps you learn how courts are deciding school cases, what the legal issues are and how your colleagues across the country are faring.” Case summaries are provided in areas covering employment practices, school operations, academic practices, students with disabilities and more. This resource is reprinted annually for the most up-to-date coverage. The Principal’s Quick-Reference Guide to School Law: Reducing Liability, Litigation, and Other Potential Legal (Corwin, 3rd Ed.) R. Hachiya et al. This book presents information that shows school principals how to address issues including: student use of technology, zero-tolerance discipline policies, and school safety and violence prevention. It also includes useful insights for collaboration with other school personnel for addressing these issues. Education Law: An Essential Guide for Attorneys, Teachers, Administrators, Parents, and Students (Lawyers & Judges Publishing Company, Inc. 2nd Ed.) by M. Gerstein & L. Gerstein. This substantial treatise understands how the incidents that arise in school touch on the many areas of law mentioned previously. How do these broad legal practice areas intersect with state and local laws? This broad treatise can be your road map to putting the details of your particular education issue into the right legal framework for your continued research.